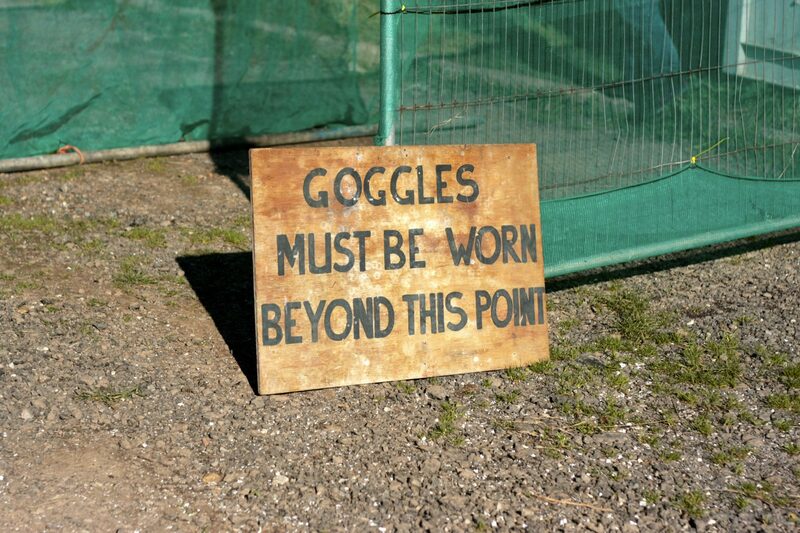 PLAYERS MUST WEAR GOGGLES AT ALL TIMES IN PLAYING AREAS!! Players must ensure safety catches / barrel sleeves are used whilst games are not in progress or when they have been eliminated from the game. Players are not permitted to bring rental markers into a safety area or the compound. No shooting in the compound or safety zones. No deliberate head shots. This will result in players being eliminated from the game. Conduct that is deemed by management to be unsportsmanlike, such as abusive language or actions towards other players or spectators will result in a warning being issued and/ or penalty points and/ or removal from the premises. 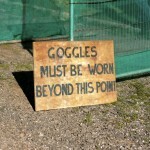 Safety rules must be adhered to at all times. Any person who behaves in such manner that threatens the safety of another person or themselves may be asked to leave the premises. Players must not pick up dirty paintballs or any other foreign objects and place them into your paintball marker. The game fields as well as playing areas which are clearly marked with boundary tape or rope. Do not go outside the boundaries. Respect for the equipment hired from us for your event would be appreciated. Fun and safety go hand in hand, please observe these simple rules and you will have fun. No shooting wildlife or referees. No climbing trees or jumping barricades. No dismantling or modifying rental equipment. No eating, drinking or smoking on playing fields. Players arriving by car are asked to drive sensiby and respect the Neighbours when arriving and leaving the site.